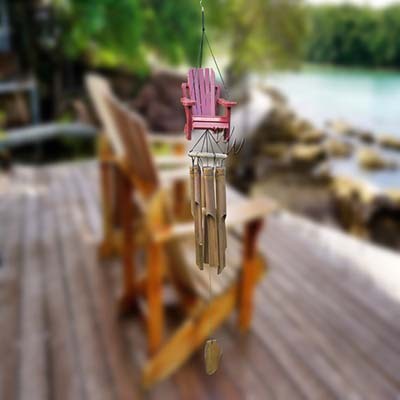 This Cohasset Simple wind chime features 6 bamboo tubes decorated with a Red Beach Chair on top. Only high quality bamboo, solid wood and hand polished tubes are used to create these whimsical works of art. Each unique bamboo chime is hand-carved, hand-painted, and hand tuned by family craftsman. Only high quality bamboo, solid wood and hand polished coconut shells are used to create these whimsical works of art. This chime is overall approximately 37 inches.